According to Russian Defense Ministry, Russia's Aerospace Forces have started adopting a new regimental set of the long-range S-400 Triumf air defense systems at the Kapustin Yar testing range in the Astrakhan Region. 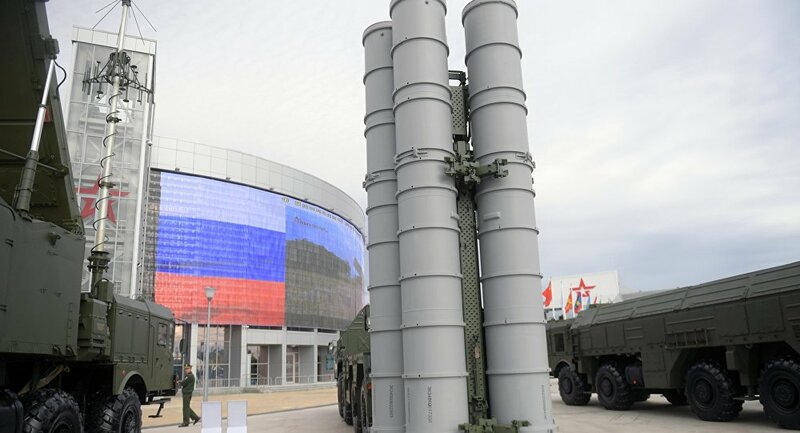 MOSCOW (Sputnik) – Russia's Aerospace Forces have started adopting a new regimental set of the long-range S-400 Triumf air defense systems at the Kapustin Yar testing range in the Astrakhan Region, the Russian Defense Ministry said Monday. Earlier, the Almaz-Antey concern said it had handed Russia's Defense Ministry five S-400 regiments in 2016. "The Aerospace Forces are adopting a second regimental set of S-400 air defense systems in a month," the statement said. According to the statement, the servicemen have started a complex acceptance of the military equipment, which includes assembly quality inspection, checking of the completeness and operating capacity of all systems, mechanisms and aggregates of the new air defense system. Following these procedures, the servicemen will pass control tests on the admission to carry out initial firing exercises and the new regimental set of the S-400 air defense system will be delivered to a permanent disposition in the Moscow region, according to the Defense Ministry. The S-400 is Russia's next-generation air defense system, carrying three different types of missiles capable of destroying aerial targets at short-to-extremely long range. It is capable of tracking and destroying all existing aerial targets, including ballistics and cruise missiles.